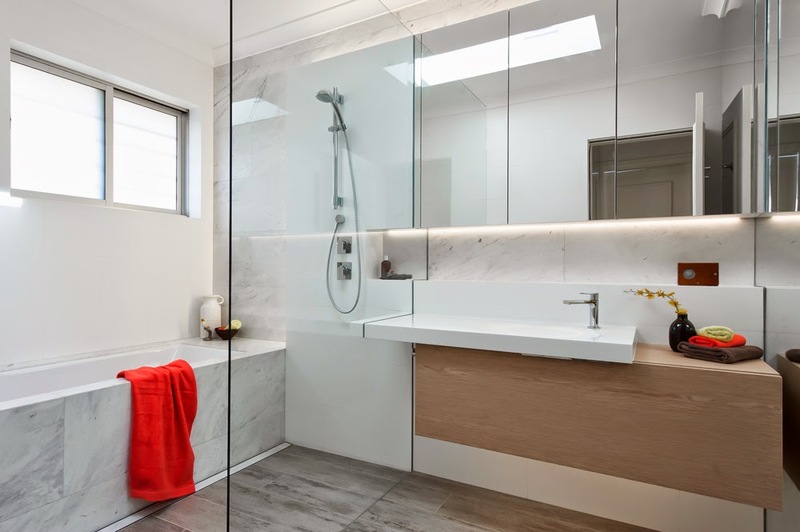 Bathroom renovations can be tricky, they sometimes have a brief that is bigger than the space and sometimes the biggest problem with renovating bathroom especially in apartments like this one is the ability to move the main plumbing element around. 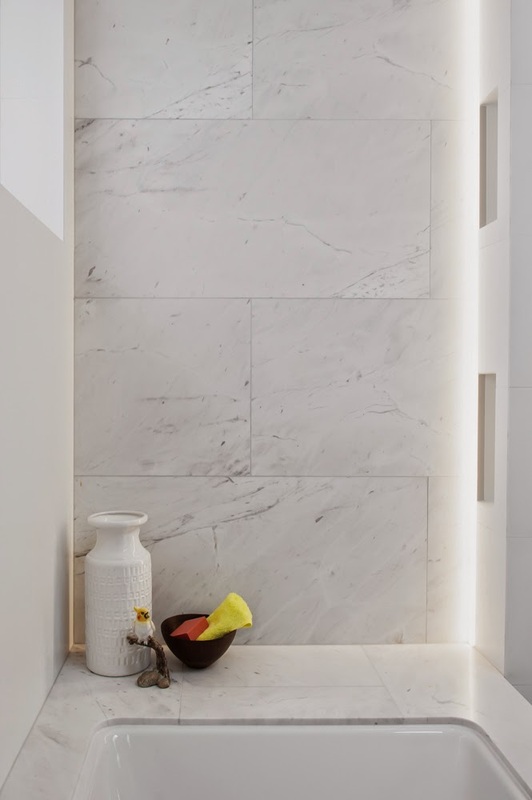 We can not over think these spaces, they are usually very tight and they require hi function and obviously a design aesthetic that is pleasing to the client. 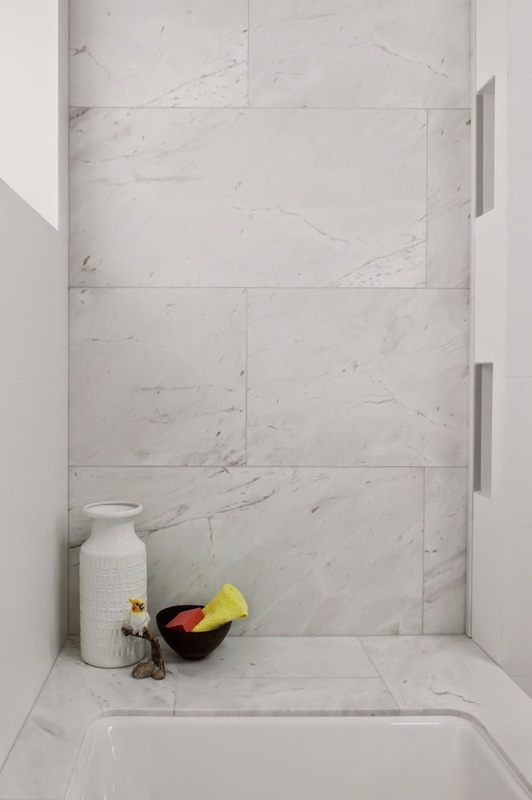 This space is and was no different, the original toilet was directly in front of the door and the first thing you would see upon entry, which meant the door was mostly closed. 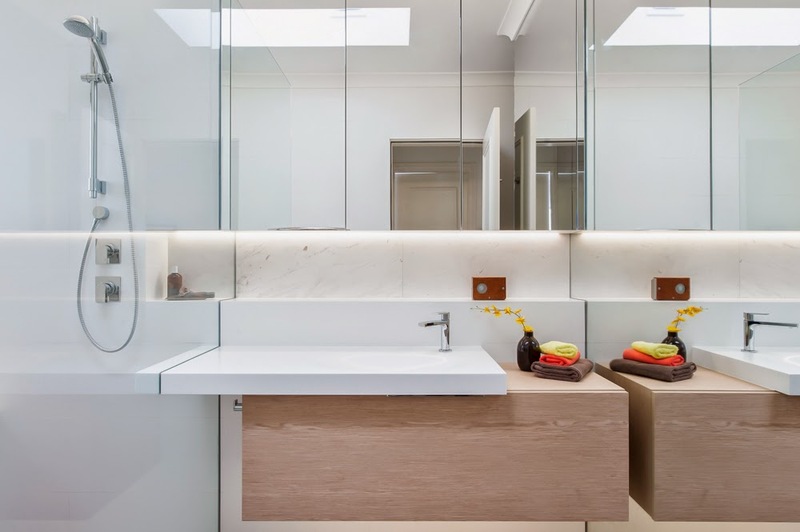 The real success of this design apart from the design aesthetic is the function, now on entry you see the vanity and from a function perspective this is the centre of the space; generally the last thing you use so it makes sense to be the first and last item of view and use. 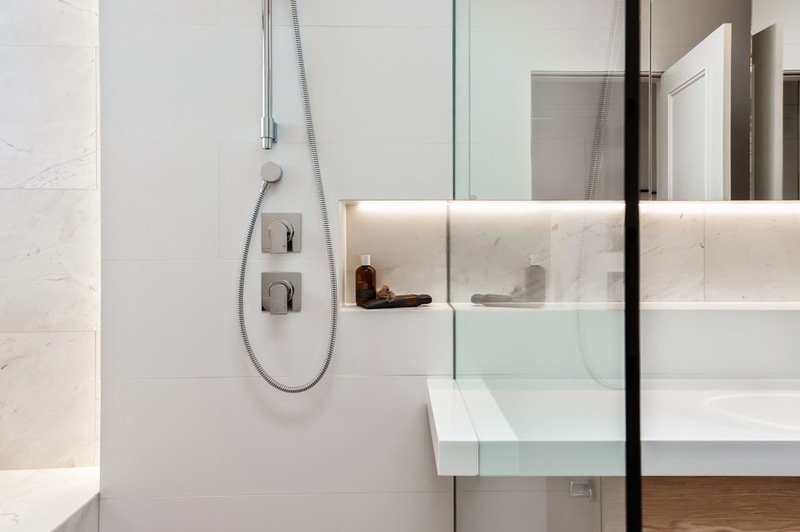 To maximise the space we chose to put the shower directly next to the bath and build the bath in so it is a wet area. 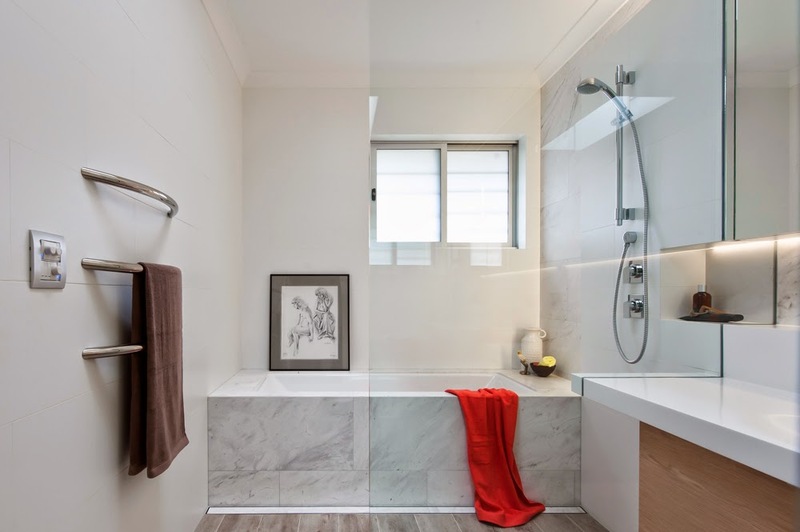 This has many function benefits but for this small space it comes back to use of the floor space and the function. 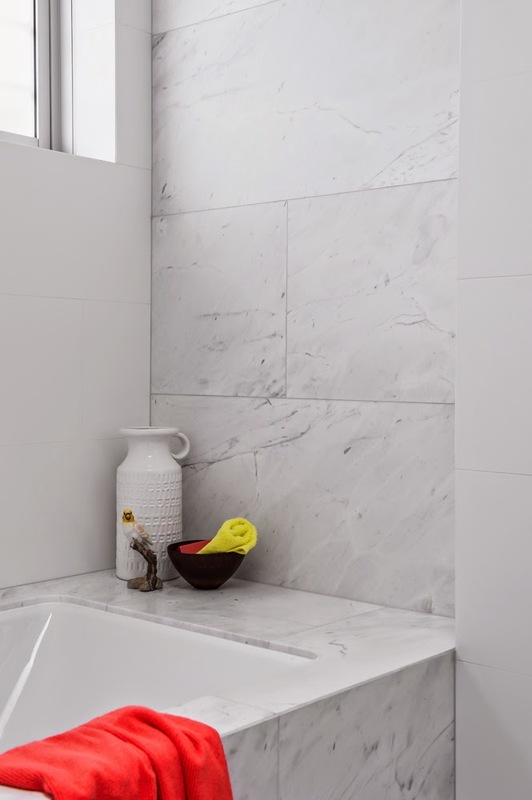 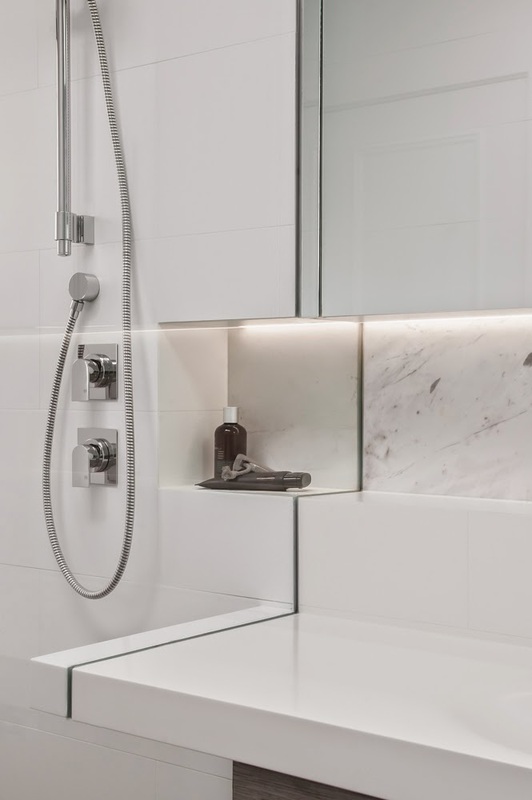 Storage is also always a big problem in apartment living in Sydney and this bathroom renovation is no different. 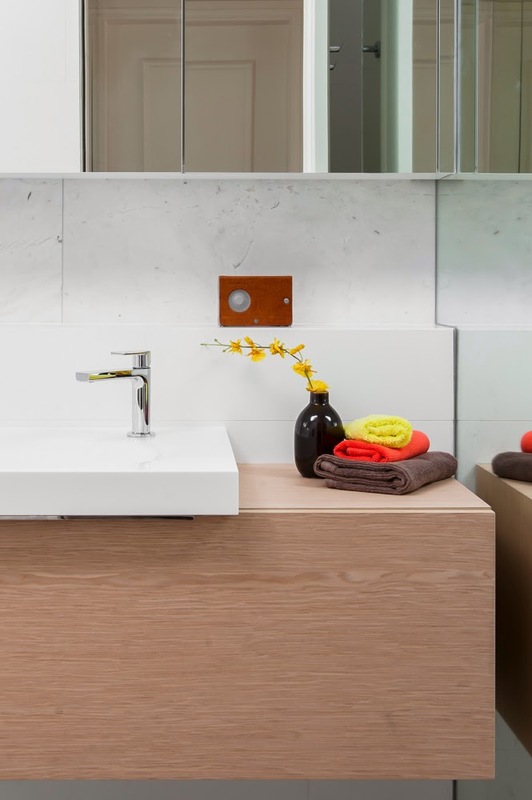 At every turn we required storage, there is the recessed "shaving" cabinet over the Minosa ScoopED basin and single pullout drawer, there is a two door recessed cabinet over the in wall cistern which is cleverly tucked away behind the large floor to ceiling mirror panel and finally there are recessed niches concealed into the built up wall. 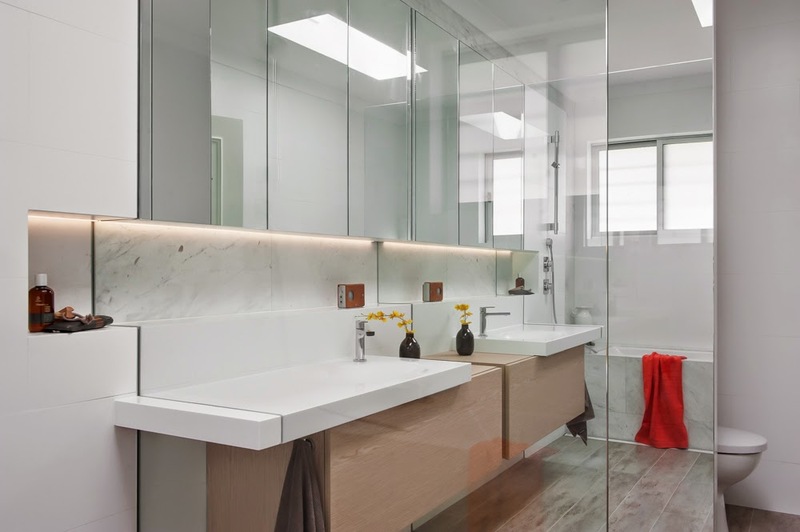 So when considering your bathroom renovation, think not only about the aesthetic but the function - the more thought, the better the results.